Waterfront, Angel of the Winds Arena, Imagine Children's Museum, Schack Art Museum. Room,clean, bed slept great and close to venue. 01-Jan-2019 Verified Review, stayed from Mon Dec 31 to Tue Jan 01 2019 at a $97.79 average nightly rate. They were extremely accommodating. We were in town for my Uncle's funeral and they got us an early check in (we had a one and three year old who had been in the car for five hours). She got us a crib and made us feel so welcome. Rooms and hotel were very clean and spacious. Will return and recommend to anyone. 26-Dec-2018 Verified Review, stayed from Fri Dec 21 to Sat Dec 22 2018 at a $97.79 average nightly rate. Individual guest room cancellations must be made 48 hours prior to arrival date. There will be an 80% attrition for group rooms not picked up within blocked rooms. We serve a complimentary hot breakfast that consists of mixed fruits, cereals, waffles, breakfast toast, bagels, and scrambled eggs/sausage/ biscuits & gravy/ omelets that rotate daily. Breakfast is served 6:00 AM - 10:00 AM, Monday through Friday. 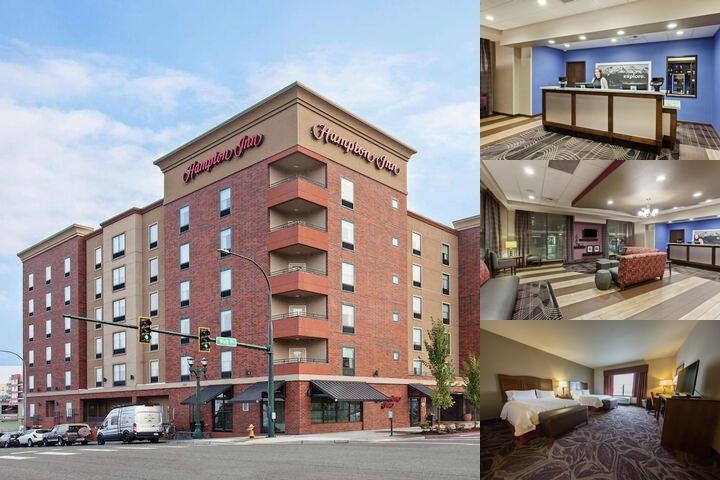 Below are the meeting, banquet, conference and event spaces at Hampton Inn Seattle / Everett Downtown. Feel free to use the Hampton Inn Seattle / Everett Downtown meeting space capacities chart below to help in your event planning. Hotel Planner specializes in Everett event planning for sleeping rooms and meeting space for corporate events, weddings, parties, conventions, negotiated rates and trade shows. 38 x 28 x 10 Ft.